MEIGS COUNTY PARADISE 250 AC. M/L WITH A TOTAL OF 5 BR's, 3 BA 2-AUTHENTIC LOG HOMES, FREE GAS & MINERAL RIGHTS. When you turn down the drive you'll come to the gate, taking you to the this paradise sitting in the middle of the 250 ac. m/l. Constructed using original hand hewn pioneer beams, designed w/ the taste of character that can only be appreciated by viewing. Walk upon the covered porch & enter back into time. Kitchen is designed open to dining room w/ 2 double doors giving views to the open countryside. To the right is the original family room w/ stone fireplace & floors. Finishing out 1st floor is full BA & laundry room. Upstairs are 2 more original log BR's, full BA & open walkway overlooking below. 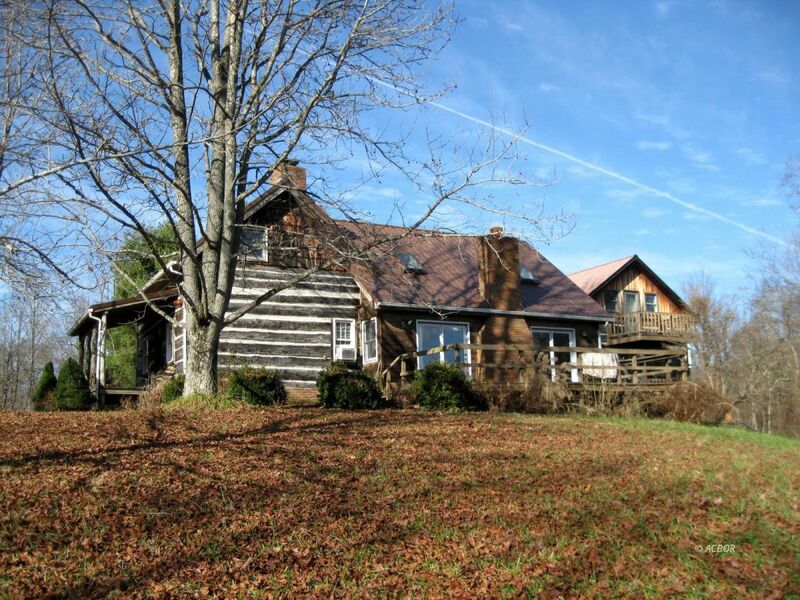 Connected by the covered porch is a 2nd hand hewn pioneer log home with 3 BR's & full BA. 1st floor has family room, stone fireplace, full BA, and BR. Upstairs are 2 more nice BR's w/ balcony. Property includes 3 oil/gas wells w/ income of $1600/yr. This is a property that has unlimited possibilities that include Air B & B, Private Retreat, Hunting Preserve, Personal paradise or what ever you wish. Property has road frontage to always ensure privacy. Can be sold furnished.